If you are interested in this product, please contact us for the most up to date prices and prices change weekly. 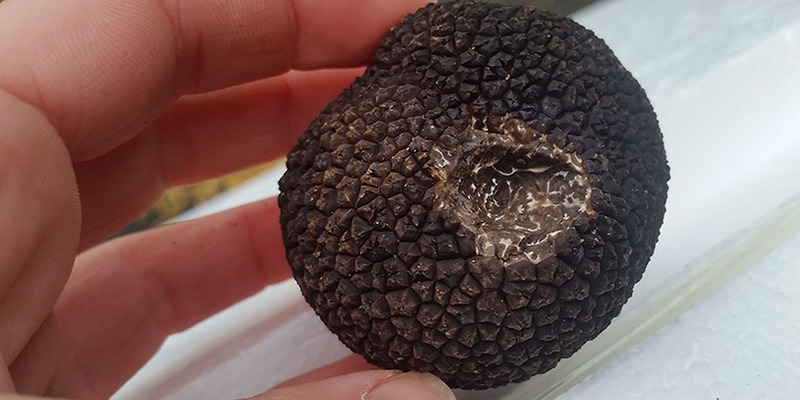 Tuber melanosporum is known around the world as the culinary diamond of the kitchen. 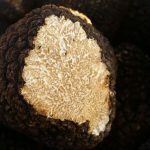 Also referred to as the black winter truffle, or mostly commonly as the Perigord truffle, named after one of the regions in France where it is commonly collected. Perigord truffles are native to Europe but they are also successfully cultivated in other parts of the globe, such as Australia. They are appreciated for their unique and heady aroma. Because the Australian winter corresponds with summer in Europe & the US, this means that you can now enjoy real fresh black winter truffles in the midst of summer! Earthy with aromas that bring to mind damp forests, with hints of molasses, chocolate and tobacco. 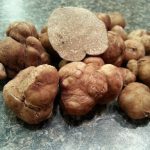 All Perigord truffles are listed at Market Price. *All of our truffles are harvested by dog & handler location teams and sourced from our colleagues and friends in Australia. We can even send you a photo of the dog that harvested your truffles.